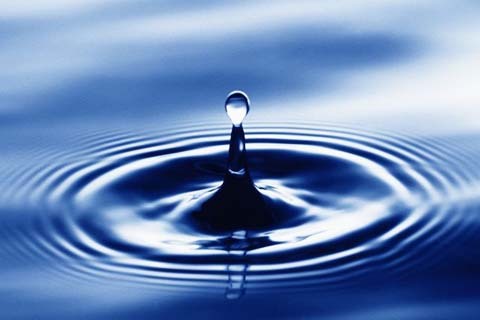 A symposium over water, one of life’s essential resources, will be held from noon to 1 p.m. Monday, Oct. 5, in CU3. The discussion will center on the book entitled “Water Matters” which has been selected for this semester’s Big Read. Political science Professor Nathan Vanden Brook and Director of Student Academic Success Darby Johnsen will be introducing the subject of the Big Read. “Water Matters: Why We Need to Act Now to Save Our Most Critical Resource” by Tara Lohan is the first non-fiction book the college has chosen for the annual event, The Big Read, which aims to have many students read and discuss a single book. This symposium is designed to bring students and faculty together to approach the important questions and issues revolving around what the book labels as a water shortage crisis that the world is facing today. The water crisis is pertinent with droughts widespread throughout the country, particularly in California, Vanden Brook said. But the problem isn’t too far away from home. The water crisis affects Oklahomans as well. The problem is faced through the scarcity of water. Bottled water is not helping the problem, Johnsen said. The bottled water companies such as Nestle are taking the water from the citizens of California while they are being rationed for their water intake. Individuals can help the crisis from switching from bottled water to tap water, Johnsen said. If purity is a concern, use a filter. For more information, contact Vanden Brook at nvandenbrook@occc.edu or Johnsen at djohnsen@occc.edu. Free copies of “Water Matters” can be obtained in the library, which has set up a separate section of the library homepage to discuss the book and provide additional resources.